There will be a time when all the major technologies in the world will be in nanoscale. Recent developments have been undergone in daily used electronic gadgets like mobiles, computers, laptops and so on. 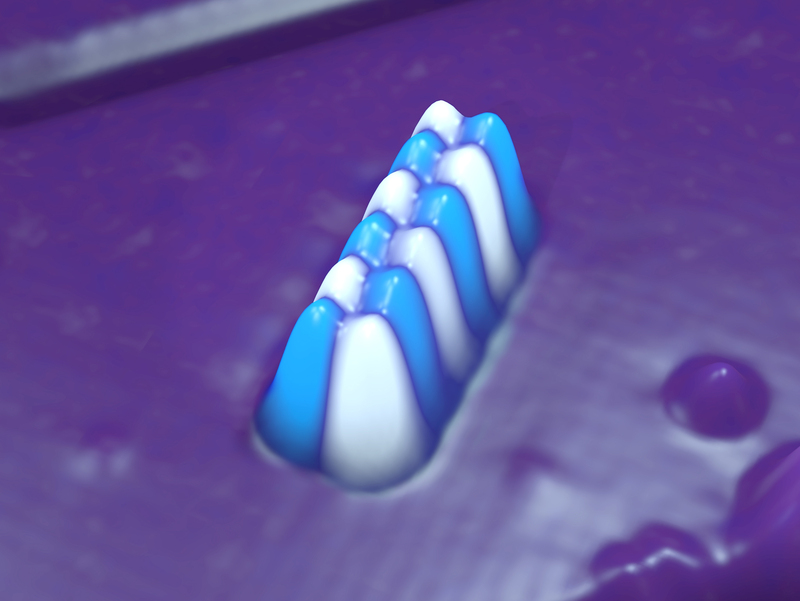 As a part of this, a group of researchers from IBM and CFEL (Centre for free-electron Laser Science) have been successful in developing the worldâ€™s smallest magnetic data storage unit. The newly invented unit needs only 12 atoms for storing one bit. That is, 96 atoms for storing one byte. In a conventional memory storage unit a byte consists of half a billion atoms and hence this new technology will prove to be a breakthrough for producing the new generation of devices called â€œnanogadgetsâ€. This nano data storage unit was made by placing atom by atom by using a STM (scanning tunneling microscope) at IBMâ€™s Almaden research centre in San Jose, California. First a regular pattern of iron atoms were constructed and then they were aligned in such a way that each row contains six atoms. The storage density of this nano structured memory unit is supposed to be a hundred times better than the currently used hard drives. With the help of an STM data is written to the nano storage unit. The pairs of the atoms will be having two magnetic states representing zero and one. By using the STM the polarity of the atoms are changed to the desired value. For this purpose, an electromagnetic pulse is applied to the electrons from the STM. A weaker electronic pulse is used to read the data from the nano structure. Â In conventional hard drives and other data storage structures data is stored by ferromagnetism but here special form of magnetism called the anti ferromagnetism is used here to record data. As the materials are anti ferromagnetic, the atoms can be spaced more closely as the magnetic fields will not be interfering with each other and hence nano size can be achieved. Scientists say that this discovery will open new doors to quantum physics and smarter gadgets can be developed in the near future. Its a great-great achievement for researcher and influenced the whole of the world, in coming years.Congratulation to whole research team and to the rest of the people of whole world. Thanks a lot for sharing this.